At Gallatin Valley Chiropractic of Bozeman, we take great pride in providing the finest chiropractic care, best services, and newest techniques to each of our patients in Bozeman and the surrounding areas in Montana. Our chiropractors provides advanced spinal correction utilizing "state of the art" and patient specific chiropractic techniques. Never in the history of chiropractic have we been able to provide the level of technology and expertise that exists today. These newer correction methods and techniques are even safer, more comfortable and more effective than ever before. As Doctors of Chiropractic, our chiropractors have years of training and experience in chiropractic spinal and extremity adjustments. Our doctors acknowledges that there is no one certain technique that can be perfect for every patient, so we implement a variety of procedures, all based on each individual patient's case. This allows them to achieve the maximum benefit of chiropractic care. 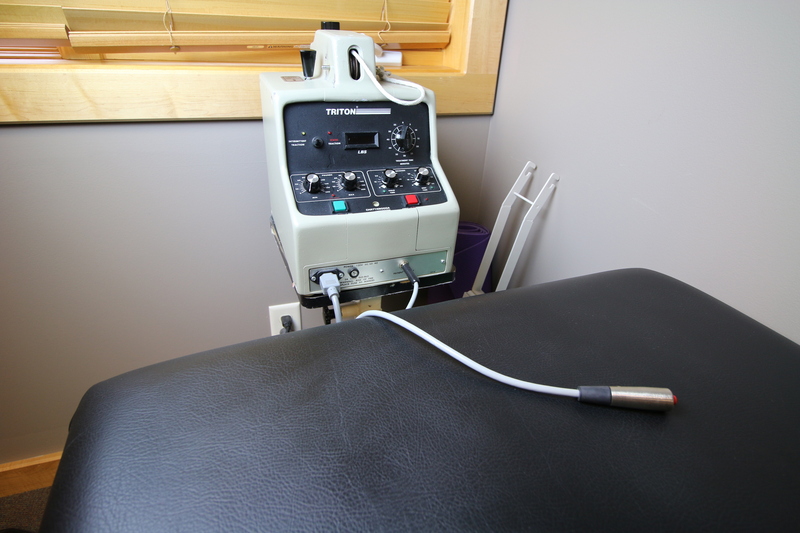 Some of the techniques used in the office are: Diversified manual technique, Instrument Assisted Activation (no pops or cracks and very low force), and Gonstead, along with a variety of therapies including ultrasound, and electric muscle stimulation. At Gallatin Valley Chiropractic, we are believers in getting the body healthy and keeping the body healthy. This is why we have a functional rehab program designed to keep the body in alignment by stretching and strengthening core muscles throughout the body to keep your spine healthy. Diversified technique is the most widely used form of chiropractic treatment and is taught at all chiropractic schools. Most patients are familiar with this style of chiropractic, using quick low-amplitude thrusts delivered by hand to cause cavitation creating the popping sounds we associate with being adjusted. This technique can be used to treat joints throughout the body. Because of its effectiveness our doctors uses this technique to restore subluxations on individuals of any stature. Cox flexion-distraction is a non-invasive procedure done by chiropractors to relieve back pain. This gentle form of treatment can be used for patients suffering from disc herniation, sciatica, whiplash injuries, misalignment and many others. The flexion-distraction technique is a combination of applying pressure to relieve pain as well as increasing the range of motion and realigning the spine. The table will move slowly in a rhythmic motion as the chiropractor moves their hands into different areas to relieve pain. This process is very gentle and also works great for those with osteoporosis or older individuals. 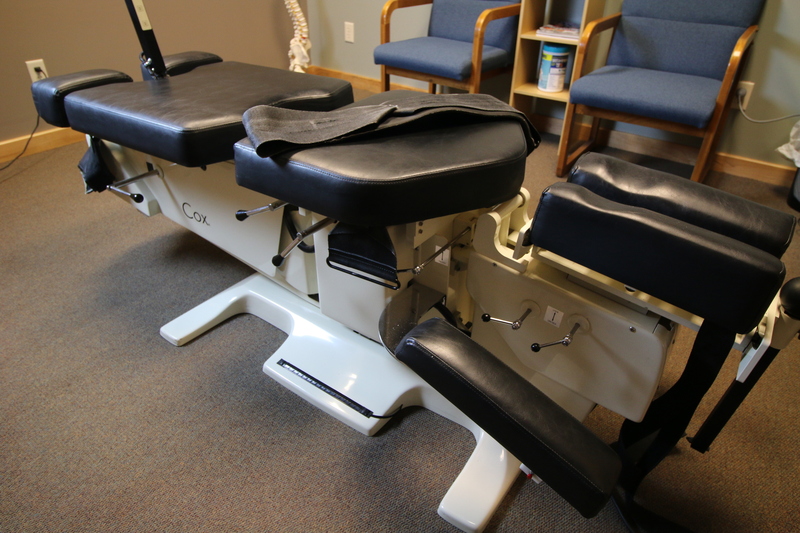 Gallatin Valley Chiropractic utilizes a flexion-distraction table for those that it will be most effective for. Intersegmental traction is a technique used by our doctors on compressed discs or other spinal structures. Using a specialized table, our Doctors apply specific amounts of tension to very localized spinal structures. This tension gently tractions discs, ligaments, and other spinal structures to increase blood flow, relax tissues, and alleviate pain. Gonstead adjustments are a way to treat patients by getting a full understanding of what is going on and treating the entire problem rather than just temporarily stopping the pain. By understanding each patient is unique the chiropractor is able to use a series of tests to identify their problem and address them accordingly. The examination process includes visualization, instrumentation use, palpation and x-ray analysis of the spine to fully understand the extent of the problem. This method can eliminate the need for invasive surgery or medications allowing healing to occur naturally. Our doctors at Gallatin Valley Chiropractic uses a form of comprehensive testing and evaluations to gain full understanding of any issues to best care for his patients as individuals. 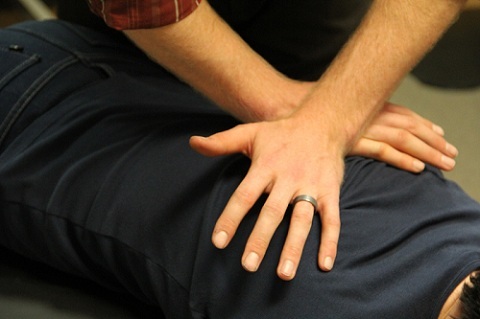 The Activator (instrument assisted adjustments) is a gentle low-force type of adjustment. The activator is a hand-held instrument that delivers a fast but controlled thrust. This method is used to address spinal joint dysfunction and restore proper balance of the spine. This form of chiropractic care is great for the elderly, young children or those who are sensitive to manual techniques. Our doctors have training to perform these types of adjustments for those patients that would do best with a more gentle manipulation. 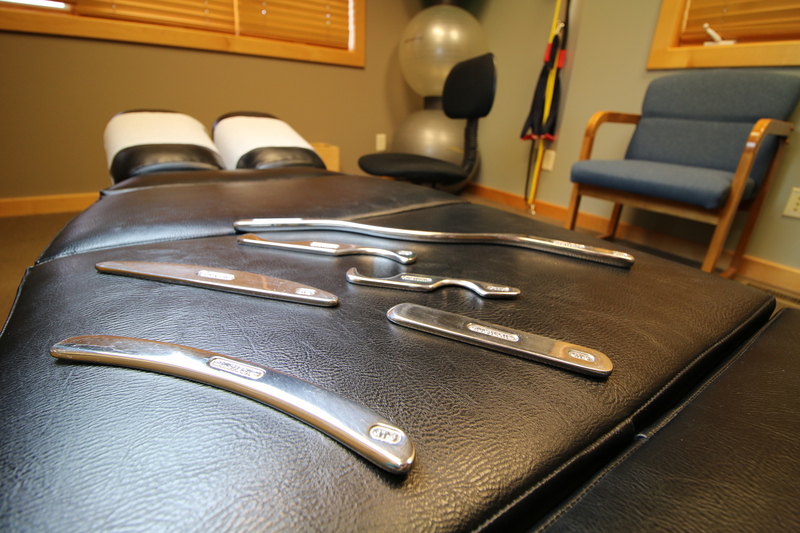 Graston Technique is a soft tissue mobilization technique using a specialized set of tools, shaped to fit different parts of the body. In sore or painful areas where there has been inflamed tissue for a length of time, there can be a change in muscle texture due to the laying down of collagen fibers (scar tissue) in an effort to heal. Graston Technique resurfaces these tissues, smoothing out the surface and interactions of muscles, ligaments, and tendons helps to improve fluid motion, and reduce discomfort. In areas where tissue has stiffened due to long-standing or chronic injury, there can be accumulations of scar tissue deposits between muscles, and in the fascial tissue beneath the skin. 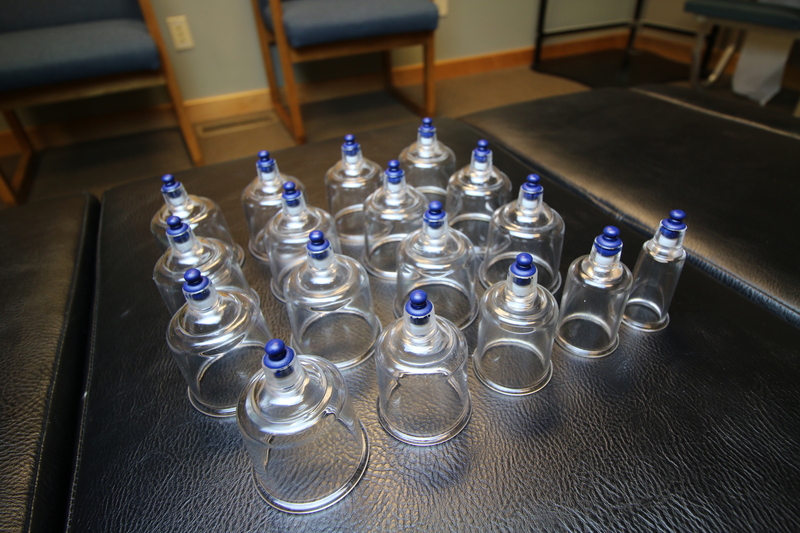 In cupping therapy, small cups are used to generate vacuum and suction. This creates space and separation between the skin, fascial, and muscle layers, pulling fluid through and helping to create a healing response. 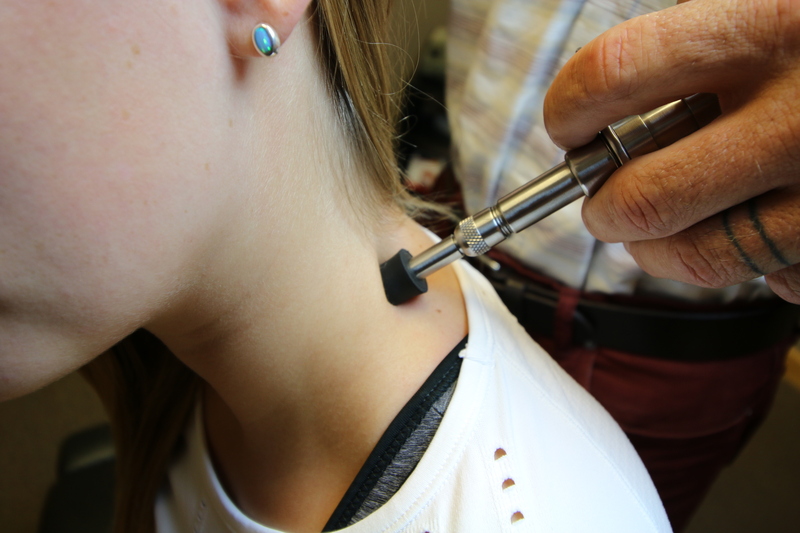 The cups are sometimes slid across the skin with the vacuum, which breaks up scar tissue, and loosens fascial tissues. This has an effect to improve blood flow, flexibility, and decrease local pain. Functional Movement Taping or Kinesiology Taping helps to address soreness related to exertion and to speed healing in inflamed tissues. The tape is stretched along areas of pain or dysfunction, and acts to gather the fascial fibers into long tracts, which direct blood and lymphatic fluid flow. The tape also stimulates sensory nerves in the area, which can override pain nerves, and help patients move more normally! Functional rehabilitation is a strategy that involves the evaluation and training of rehab that mimic real life situations. With this rehabilitation program, a patient is allowed to heal much quicker due to the strengthening of the core spinal muscles. With functional rehabilitation, the chiropractic adjustments are more likely to last longer as the patient will have stronger core muscles and more relaxed and stretches spinal muscles. This rehab program can be performed in the comfort of your own home and can also help prevent injury in the future. We provide specific recommendations on nutritional supplements and healthy food choices to enhance our patients’ return to optimal health. Do you know which supplements and vitamins are good for you? Do you know how these supplements and vitamins interact with one another? We can provide a structured nutritional program based on your individual needs. Additionally, we offer a guided and supported cleanse and intermittent fasting program. Posture and spinal screenings can reveal important health information and are free to anyone who wants to get checked. We also have custom pillows and orthotics station in the clinic. Feel welcome to call and schedule a time to come in for a FREE, custom foot scan to see if your feet are structurally healthy and functioning properly. We find it very beneficial to give patients advice on certain activities such as posture and avoiding certain situations that can aggravate their condition. This can include advice on posture sitting in the office, standing and walking, and exercising at the gym. Proper posture is extremely important, and a lack of postural knowledge is often what creates the painful conditions in the first place.